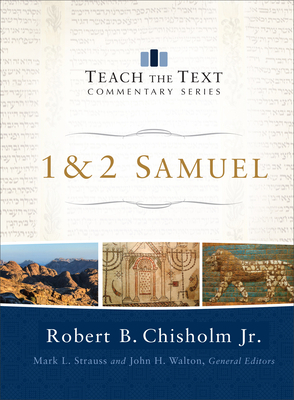 Robert B. Chisholm Jr. (ThD, Dallas Theological Seminary) is professor of Old Testament and chair of the department at Dallas Theological Seminary in Dallas, Texas. He is the author of Interpreting the Minor Prophets and From Exegesis to Exposition: A Practical Guide to Using Biblical Hebrew. GENERAL EDITORSMark L. Strauss (PhD, University of Aberdeen) is professor of New Testament at Bethel Seminary San Diego. He is the author or editor of many books and articles, including How to Read the Bible in Changing Times, Four Portraits, and One Jesus: An Introduction to Jesus and the Gospels. John H. Walton (PhD, Hebrew Union College) is professor of Old Testament at Wheaton College. He is the author or editor of numerous books, including A Survey of the Old Testament, Old Testament Today, Ancient Near Eastern Thought and the Old Testament, and The IVP Bible Background Commentary: Old Testament.